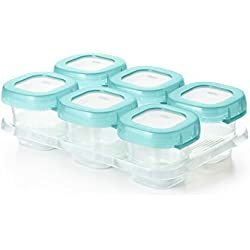 Finger foods for a baby without TEETH? WHICH baby finger foods are best? How can babies eat solid food if they don’t have any teeth to chew with? 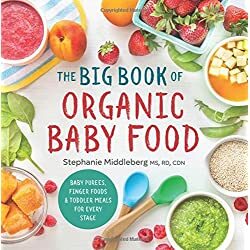 When can I START giving my baby finger foods? 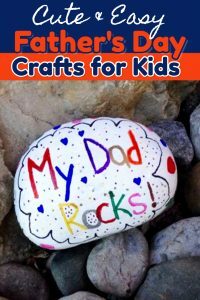 All that AND big lists of easy fingers foods for your baby with NO teeth below. This might amaze you, especially if you’re a first time Mom, but babies with no teeth can eat almost anything. 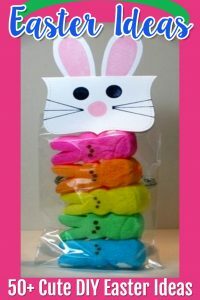 Their gums are tough and they’ll try to mash any food you offer with those tough, toothless gums. 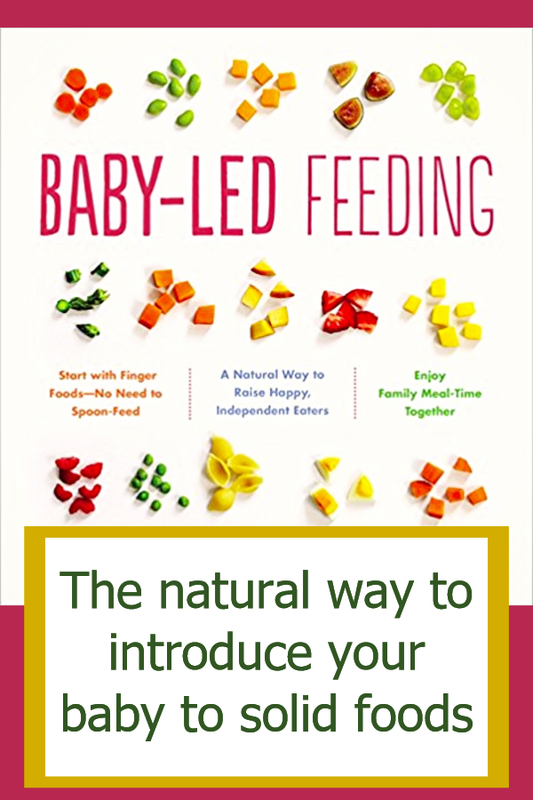 This Baby Led Feeding information is SO helpful (especially if you’re new to all this)! Most moms find that their adorable toothless baby will eat whatever the rest of the family is eating. The trick is to make sure what you offer is soft (fully cooked, totally ripe, etc) and that you don’t offer spicy foods, exotic foods, or foods known to cause allergies (ask our doctor). 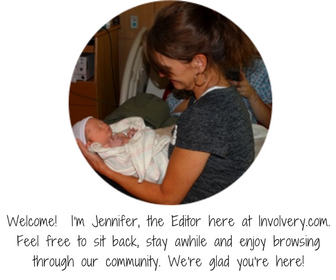 Is your family having lasagna for dinner – baby can eat that. Are you having meatloaf? Yep, baby can eat that too. Baby’s without teeth can even eat raw apples, broccoli, etc… BUT that is for moms feeding their baby with this Baby Led Weaning technique. 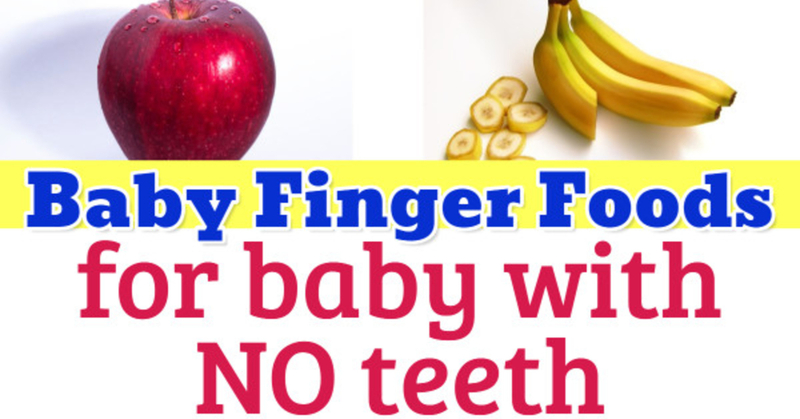 It’s amazing what babies can eat with just a tooth or 2 – or no teeth at all. 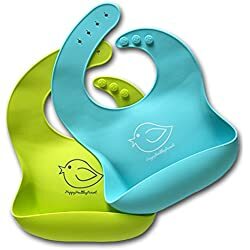 Always feed your baby while sitting up in a proper high chair and NEVER let them eat anything alone or while in the reclining position. Baby’s also have a VERY sensitive gag reflex that is designed by nature to protect them from choking. But nature isn’t always perfect, right? Be sure you know the proper way to save a baby, or ANYONE, from choking. 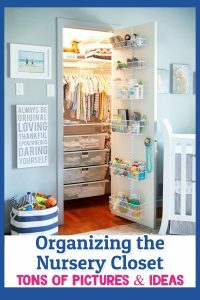 ✅ Tired of the MESS? The average age for starting finger foods for most babies is between 6 and 9 months old (naturally, check with your pediatrician first). 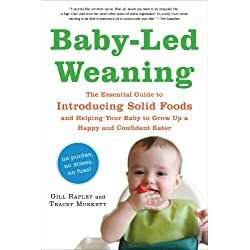 Many babies begin their experience with solid foods by eating finger foods rather than pureed or store-bought baby food – this is called Baby Led Weaning. 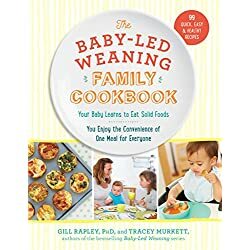 ✅ What is Baby Led Weaning? How does BLW work? Won’t my baby choke? 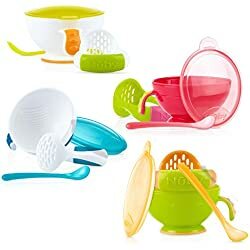 When to start baby led weaning? Can my baby do baby led weaning with NO teeth? 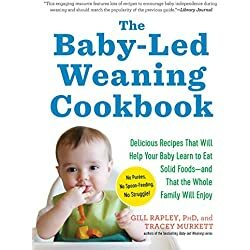 Learn all about Baby Led Weaning here. 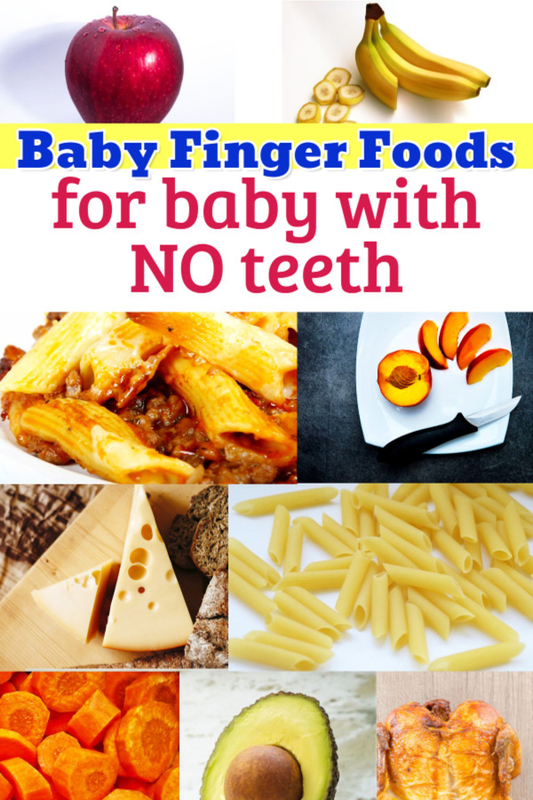 Here is a great list of easy finger foods for baby with no teeth. Be sure any vegetables are cooked and soft and fruits are ripe and soft. Thanks to Baby Center for these baby finger foods ideas. 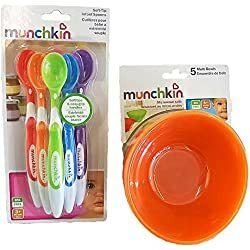 Parents.com has this list of fingers foods for the baby with no teeth when you want to know what finger food combination works best. What To Feed 9 Month Old Without Teeth? 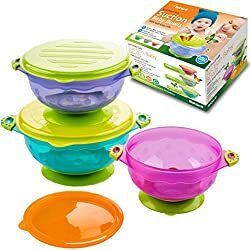 In short, you can give your baby pretty much any food your family eats (safety first) – and that IS your goal: to have your entire family all sitting down eating the same thing TOGETHER. 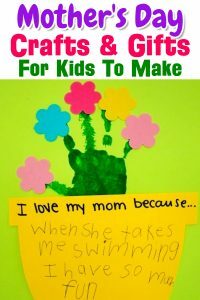 If I cook meatloaf, mashed potatoes and green beans – baby eats all that, too. 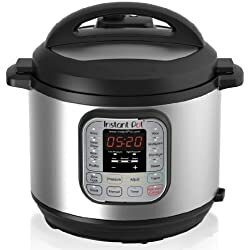 I cook just about everything in my Instant Pot – and it’s SO fast and easy. 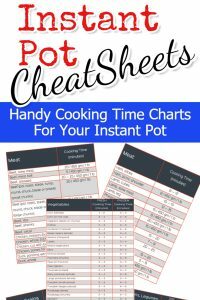 Here are Instant Pot Cooking Times – see how FAST it cooks!?!? 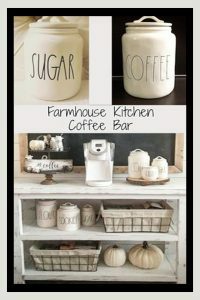 It’s a VERY handy kitchen cooking gadget! 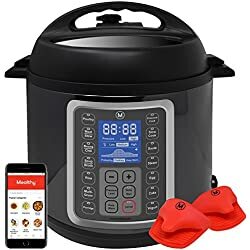 ✅ Thinking About Getting an Instant Pot? 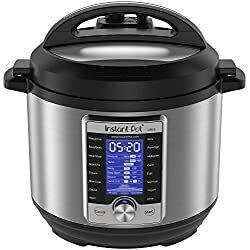 Read: Is Instant Pot WORTH the Hype? 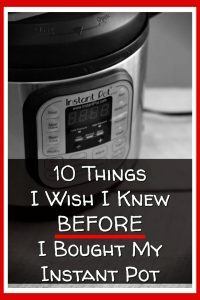 I share 10 IMPORTANT Things I Wish I Knew BEFORE I Bought My Instant Pot – that YOU will want to know, too.